To promote road safety in the region, CAREC is holding a series of national workshops on road safety engineering. The 4-day technical training program is designed to assist road agencies in CAREC countries in providing safer roads. The workshop focuses on Pillar 2 (Safer Roads) of the UN Decade of Action for Road Safety. It follows the recently published CAREC Road Safety Engineering Manuals (Road Safety Audit, Safer Road Works, and Roadside Hazard Management). The first national workshop was held in Bishkek, Kyrgyz Republic. 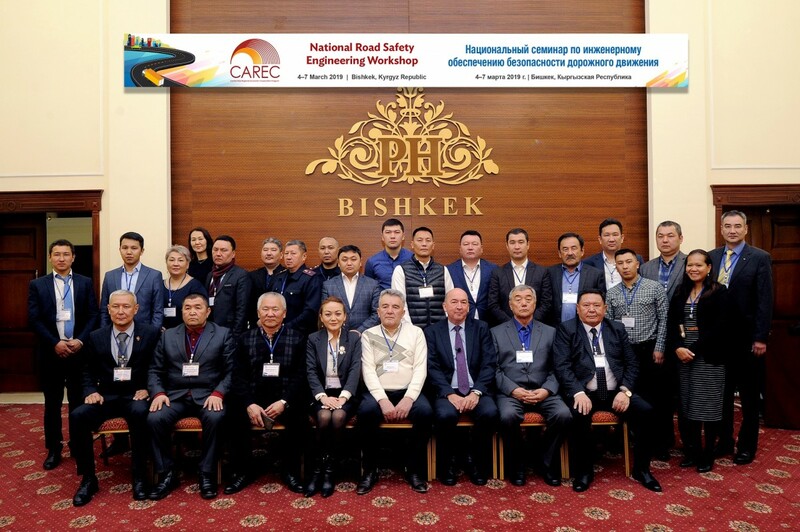 Kyrgyz Republic Deputy Minister of Transport and Roads Bakyt Berdaliev welcomed the participants and highlighted the CAREC road safety strategy and its activities. Over 30 representatives from government, academia, and civil society attended the workshop. Participants investigated high crash frequency sites and visited a road project to practice road safety audit. Asian Development Bank Kyrgyz Republic Resident Mission Country Director Candice McDeigan delivered concluding remarks. Cross Road Intersection on Bishkek–Kara Balta Road—What can we do to reduce crashes?